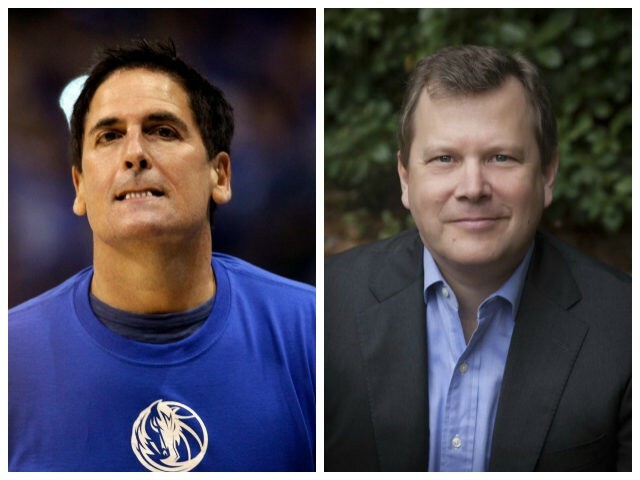 ‘Clinton Cash’ Author Peter Schweizer to Mark Cuban: Debate Me in Haiti! Clinton Cash author Peter Schweizer joined SiriusXM host Stephen K. Bannon on Wednesday’s Breitbart News Daily to discuss his debate challenge to billionaire Mark Cuban, who has attempted to discredit portions of Clinton Cash. Schweizer agreed with Bannon that it’s highly unlikely Cuban has actually read Clinton Cash, as his criticism has consisted entirely of re-Tweeting articles fed to him by left-wing organizations, while Cuban somehow failed to notice corroborating stories from sources like the New York Times. Bannon seconded the motion and offered to pay Cuban’s travel expenses to the scene of some of the worst corruption exposed in Clinton Cash. “We’ll go to Port-au-Prince, in front of a live audience of Haitians. We want the Haitian people to have a voice in this. We will go before a town hall of Haitian citizens, and we will let the great Mark Cuban debate the professor, Peter Schweizer, and we’ll see where come out on this,” he offered. Turning to the Democratic convention, Schweizer found it interesting that Bill Clinton’s long “love letter to Hillary” speech failed to mention the couple’s ostensible “life’s work” in places like Haiti, through the Clinton Foundation. Clinton Cash is available in hardcover, paperback, and e-book formats from retailers such as Amazon.com, has been adapted into a movie that can be watched for free online, and has just been released in graphic novel format.